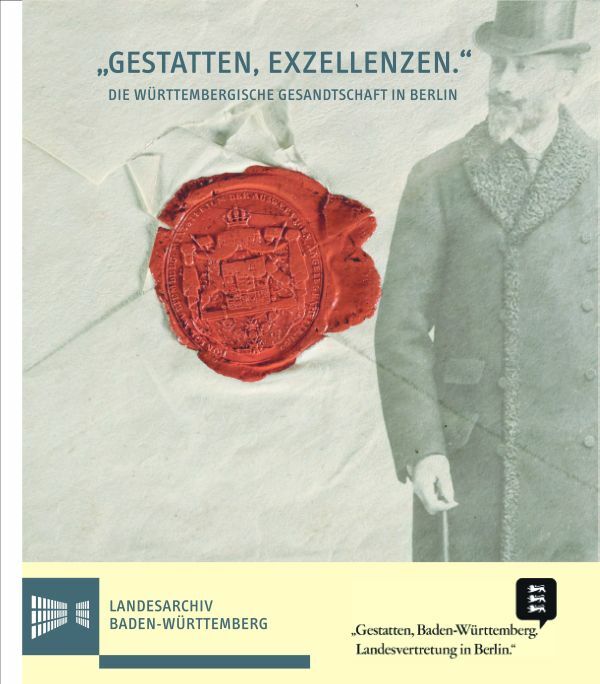 Excellencies – The Württemberg Embassy in Berlin 1803-1937.Great source with biographies of all 23 ambassadors. Barnes, T., ”Am I a Man?’: Gender and the Pass Laws in Urban Colonial Zimbabwe, 1930-80′, African Studies Review 40 (1997), pp. 59-81. Bertelsmann, W., Das Passwesen: Eine Völkerrechtliche Studie (Strassburg, 1914). Bigo, D., & E. Guild (eds), Controlling Frontiers: Free Movement Into and Within Europe (Aldershot, 2005). Broeders, D., ‘The New Digital Borders of Europe: EU Databases and the Surveillance of Irregular Migrants’, International Sociology 22 (2007), pp. 71-92. Buckley, C., ‘The Myth of Managed Migration: Migration Control and Market in the Soviet Period’, Slavic Review 54 (1995), pp. 896-916. Burds, J., ‘The Social Control of Peasant Labor in Russia: The Response of Village Communities to Labor Migration in the Central Industrial Region, 1861-1905′, in E. Kingston-Mann & T. Mixter (eds), Peasant Economy, Culture, and Politics of European Russia, 1800-1921 (Princeton, 1991), pp. 52-100. Charlemagne, J., ‘Tsiganes et Législation: Minorité Spécifique ou Catégorie Défavorisée?’, Etudes Tsiganes 1 (1986), pp. 7-12. Craecker-Dussart, C. de., ‘L’evolution du Sauf-Conduit dans les Principautés de la Basse-Lotharingie du VIIIe au XIVe siècle’, Moyen Age 80 (1974), pp. 185-243. Cunningham, D., ‘Surveillance and Social Movements: Lenses on the Repression Mobilization Nexus’, Contemporary Sociology 36 (2007), pp. 120-25. Dowty, A., Closed Borders: The Contemporary Assault on Freedom of Movement (New Haven, 1997). Dummett, A. & A. Nicol, Subjects, Citizens, Aliens and Others: Nationality and Immigration Law (London, 1990). Ehrlich, T., ‘Passports’, Stanford Law Review 19 (1966), pp. 129-49. Erler, A., ‘Pass’, in idem et al (eds), Handwörterbuch zur Deutschen Rechtsgeschichte Vol. 3 (Berlin, 1984), pp. 1527-9. Fahrmeir, A., Citizens and Aliens: Foreigners and the Law in Britain and the German States, 1789-1870 (New York, 2000). — et al (eds), Migration Control in the North Atlantic World: The Evolution of State Practices in Europe and the US from the French Revolution to the Inter-War Period (New York, 2003). Fitzgerald, K., The Face of the Nation: Immigration, the State, and the National Identity (Stanford, 1996). Garcelon, M., ‘Colonizing the Subject: The Genealogy and Legacy of the Soviet Internal Passport’, in J. Caplan & J. Torpey (eds), Documenting Individual Identity: The Development of State Practices in the Modern World (Princeton & Oxford, 2001), pp. 83-100. Geselle, A., ‘Bewegung und ihre Kontrolle in Lombardo-Venetien’, in W. Heindl & E. Saurer (eds), Grenze und Staat: Passwesen, Staatsbürgerschaft, Heimatrecht und Fremdengesetzgebung in der österreichischen Monarchie, 1750-1867 (Vienna, 2000). — , ‘Domenica Saba Takes to the Road: Origins and Development of a Modern Passport System in Lombardy-Veneto’, in J. Caplan & J. Torpey (eds), Documenting Individual Identity: The Development of State Practices in the Modern World (Princeton & Oxford, 2001), pp. 199-217. Groenendijk, C. A., ‘Een Nieuwe Paspoortwet: Tussen Bewegingsvrijhied, Fraudebestrijding en Regelzucht’, Burgerzaken 527 (1986), pp. 294-307. Harst, G. van der & L. Lucassen, Nieuw in Leiden: Plaats en Betekenis van Vreemdelingen in een Hollandse Stad (Leiden, 1988). Hartoy, M. d’, Histoire du Passeport Français: Depuis l’antiquité jusqu’à Nos Jours (Paris, 1937). Heindl, W. & E. Saurer (eds), Grenze und Staat: Passwesen, Staatsbürgerschaft, Heimatrecht und Fremdengesetzgebung in der österreichischen Monarchie, 1750-1867 (Vienna, 2000). Kessler, G., ‘The Passport System and State Control over Population Flows in the Soviet Union, 1932-1940′, Cahiers du Monde Russe 42 (2001), pp. 477-504. Komlosy, A., ‘Ein Land – viele Grenzen: Waren und Reiseverkehr zwischen den österreichischen und böhmischen Ländern (1740-1918)’, in idem et al (eds), Kulturen an der Grenze: Waldviertel, Weinviertel, Südböhmen, Südmähren (Vienna, 1995), pp. 59-72. Landau, N., ‘Laws of Settlement and Surveillance of Immigration in Eighteenth-Century Kent’, Continuity & Change 3 (1988), pp. 391-420. Liubarskii, K., 1994 ‘Pasportnaia Sistema i Sistema Propiski v Rossii’, Rossiiskii Biulleten’ po Pravam Cheloveka 2 (1994), pp. 14-26. Lloyd, M., The Passport: The History of Man’s Most Travelled Document (Stroud, 2003). Lucassen, L., Zigeuner: Die Geschichte eines polizeilichen Ordnungbegriffes in Deutschland, 1700-1945 (Weimar, 1996). — , ‘Eternal Vagrants? State Formation, Migration, and Travelling Groups in Western Europe, 1350-1914′, in J. Lucassen & L. Lucassen (eds), Migration, Migration History, History: Old Paradigms and New Perspectives (Bern & New York, 1997), pp. 225-52. — , ‘The Great War and the End of Free Migration in Western Europe and the United States: Explanations and Refutations’, in A. Böcker et al (eds), Regulation of Migration: International Experiences (Amsterdam, 1998), pp. 45-72. — , ‘A Many-Headed Monster: The Evolution of the Passport System in the Netherlands and Germany in the Nineteenth Century’, in J. Caplan & J. Torpey (eds), Documenting Individual Identity: The Development of State Practices in the Modern World (Princeton & Oxford, 2001), pp. 101-20. Manley, R., ‘The Perils of Displacement: The Soviet Evacuee between Refugee and Deportee’, Contemporary European History 16 (2007), pp. 495-509. Marx, G. T. , ‘Social Control Across Borders’, in W. McDonald (ed. ), Crime and Law Enforcement in the Global Village (Cincinnati, 1997). — , ‘The Declining Significance of Traditional Borders (and the Appearance of New Borders) in an Age of High Technology’, in P. Droege (ed. ), Intelligent Environments: Spatial Aspects of the Information Revolution (Oxford, 1997). Matthews, M., The Passport Society: Controlling Movement in Russia and the USSR (Boulder, San Francisco & Oxford, 1993). McKeown, A., ‘Ritualisation of Regulation: Enforcement of Chinese Exclusion 1898-1943′, American Historical Review [Forthcoming]. — , Melancholy Order: Asian Migration and the Globalisation of Borders 1834-1937 [Forthcoming]. Moatti, C., La mobilité des personnes en Méditerranée, de l’Antiquité à l’époque moderne: Procédures de contrôle et documents d’identification (Rome, 2004). — & W. Kaiser (eds), Gens de passage en Méditerranée de l’Antiquité à l’époque moderne: Procédures de contrôle et d’identification (Paris & Maisonneuve, 2007). Moine, N., ‘Passeportisation, Statistique des Migrations et Contrôle de L’identité Sociale’, Cahiers du Monde Russe 38 (1997), pp. 587-600. — , ‘Le Système des Passeports à L ‘époque Stalinienne: De la Purge des Grandes Villes au Morcellement du Territoire, 1932-1953′, Revue d’Histoire Moderne et Contemporaine 50 (2003), pp. 145-69. Moon, D., ‘Peasant Migration, the Abolition of Serfdom and the Internal Passport System in the Russian Empire, c.1800-1914′, in D. Eltis (ed. ), Coerced and Free Migration: Global Perspectives (Stanford, 2002), pp. 324-57. Noiriel, G., ‘Surveiller les déplacements ou identifier les personnes? Contributions à l’histoire du passport en France de la Ire à la IIIe république’, Genèses: Sciences Sociales et Histoire 30 (1998), pp. 77-100. — , The French Melting Pot: Immigration, Citizenship, and National Identity (Minneapolis, 1996). — , ‘The Identification of the Citizen: The Birth of Republican Civil Status in France’, in J. Caplan & J. Torpey (eds), Documenting Individual Identity: The Development of State Practices in the Modern World (Princeton & Oxford, 2001), pp. 28-48. Nordman, D., ‘Sauf-conduits et Passeports, en France, à la Renaissance’, in J. Ceard & J-C. Margolin (eds), Voyager à la Renaissance (Paris, 1987), pp. 145-158. O’Byrne, D. J., ‘On Passports and Border Controls’, Annals of Tourism Research 28 (2001), pp. 399-416. Pallot, J. & D. J. B. Shaw, Landscape and Settlement in Romanov Russia, 1613-1917 (Oxford, 1990). Peschanski, D., Les Tsiganes en France 1939-1946: Contrôle et Exclusion (Paris, 1994). Piazza, P., ‘Au cœur de la construction de l’État moderne: Socio-genèse du carnet anthropométrique des nomades’, Les Cahiers de la Sécurité Intérieure 48 (2002). Robertson, C. , ‘Mechanisms of Exclusion: Historicizing the Archive and the Passport’, in A. Burton (ed. ), Archive Stories: Facts, Fictions and the Writing of History (Durham, 2005). — , ‘A Ritual of Verification? The Nation, the State and the Passport’, in J. Packer & C. Robertson (eds), Thinking With James Carey: Essays on Communications, Transportation and History (New York, 2006). — , ‘A Documentary Regime of Verification: The Emergence of the US Passport and the Archival Problematization of Identity’, Cultural Studies (2008), pp. 1-26. Salter, M., Rights of Passage: The Passport in International Relations (Boulder, 2003). — , ‘The Global Visa Regime and the Political Technologies of the International Self: Borders, Bodies, Biopolitics’, Alternatives: Global, Local, Political 31 (2006), pp. 167-89. Scheffler, T., ‘Der administrative Blick: Ueberden Gebrauch des Passes in der Auslaenderberhoerde’, in S. Hirschhauer and K. Anman (eds), Die Befremdung der eigenen Kultur: Zur ethnographischen Herausforderung soziologischer Empirie (Frankfurt am Main, 1997), pp. 168-97. Scott, J. C., Seeing Like a State: How Certain Schemes to Improve the Human Condition Have Failed (New Haven, 1998). Shearer, D., ‘Elements Near and Alien: Passportization, Policy and Identity in the Stalinist State 1932-1952′, Journal of Modern History 76 (2004), pp. 835-81. Singha, R., ‘Settle, Mobilise and Verify: Identification Practices in Colonial India’, Studies in History 16 (2000), pp. 151-98. — , ‘Passport, Ticket, and India Rubber-Stamp: The Problem of the Pauper Pilgrim in Colonial India ca. 1882-1925′, in H. Fischer-Tine and A. Tambe (eds), Spaces of Disorder: The Limits of British Colonial Control in South Asia and the Indian Ocean (London & New York, 2008). Snell, K. D. M., ‘Pauper Settlement and the Right to Relief in England and Wales’, Continuity & Change 6 (1991), pp. 375-415. Société des Nations, Régime des Passeports (Geneva, 1938). Streit, C., ‘Entwicklung, Bedeutung und Rechtsgrundlagen des Ausländerzentralregisters’, Bewährungshilfe 3 (1996), pp. 229-39. Thornberry, C., Going Abroad: A Report on Passports (Chichester & London, 1974). Torpey, J., ‘Revolutions and Freedom of Movement: An Analysis of Passport Controls in the French, Russian and Chinese Revolutions’, Theory & Society 26 (1997), pp. 837-68. — , ‘Coming and Going: On the State Monopolization of the Legitimate ‘Means of Movement”, Sociological Theory 16 (1998), pp. 239-59. — , The Invention of the Passport: Surveillance, Citizenship and the State (Cambridge, 2000). Turack, D. C., The Passport in International Law (Lexington, 1972). Valloton, P., Le Passeport (Lausanne, 1923). Vogel, D., ‘Migrationskontrolle in Deutschland: Systematisierung, Deskription, Thesen’, Universität Bremen Zentrum für Sozialpolitik, Arbeitspapier 10 (1998). — , ‘Identifying Unauthorised Foreign Workers in the German Labor Market’, in J. Caplan & J. Torpey (eds), Documenting Individual Identity: The Development of State Practices in the Modern World (Princeton & Oxford, 2001), pp. 328-44.